Welcome to Black Bear Cabins! Escape to beautiful Northwestern Pennsylvania, also known as the PA Wilds. 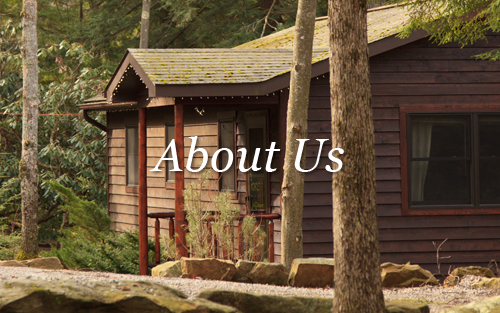 Choose from one of our four cozy, well-appointed Black Bear Cabins featuring wood burning fireplaces, private decks, outdoor campfires, picnic areas and secluded scenic views. Here, you’ll find plenty of reasons to venture outdoors. Float down the Clarion River. Hike along ancient growth trails in Cook Forest. Or climb boulders at Clear Creek State Park. And if you’re lucky, spot a Black Bear along the way. Open Every Day from 8am–9pm. To reserve, call us at (814) 744-8017.